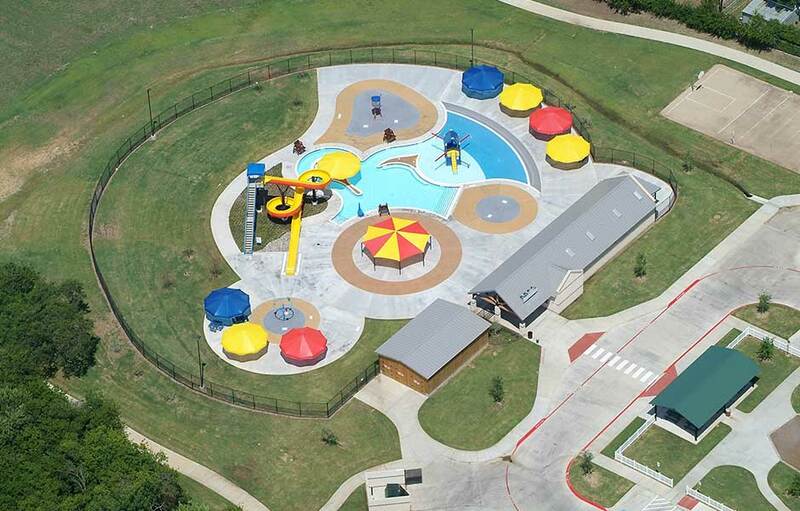 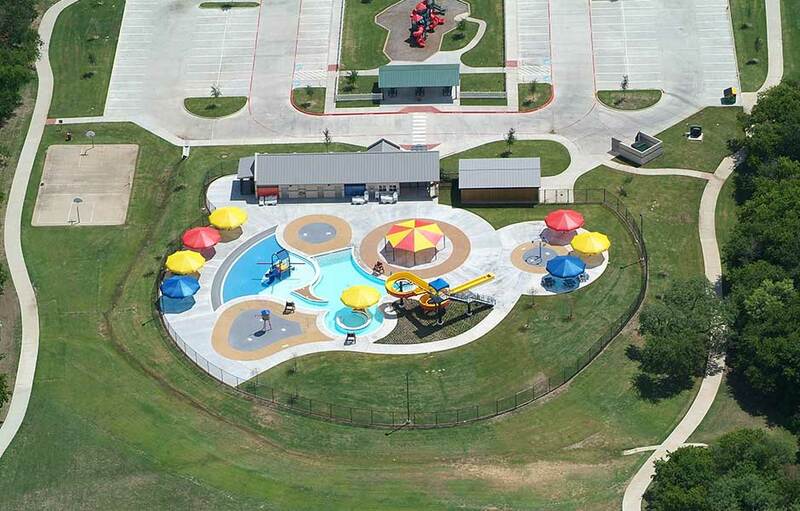 College Street Neighborhood Aquatic Center was built to replace an outdated pool in the City of Lewisville, Texas. 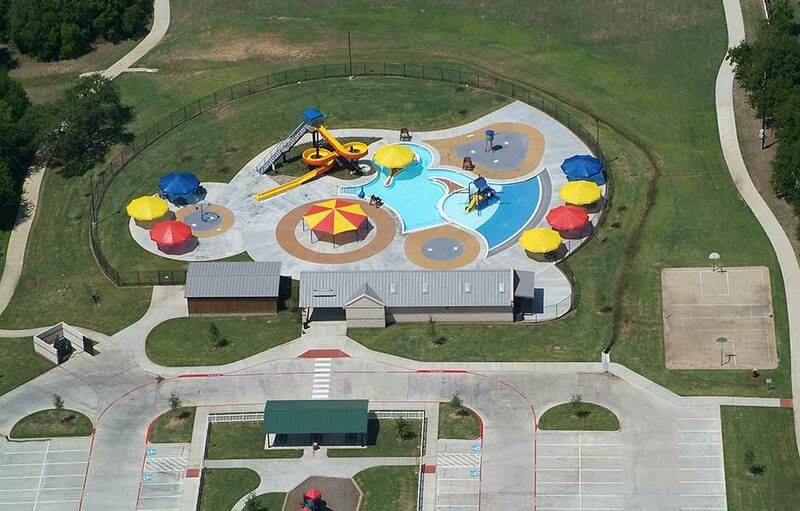 The center was designed with multiple zero depth splashpads especially geared toward small children. 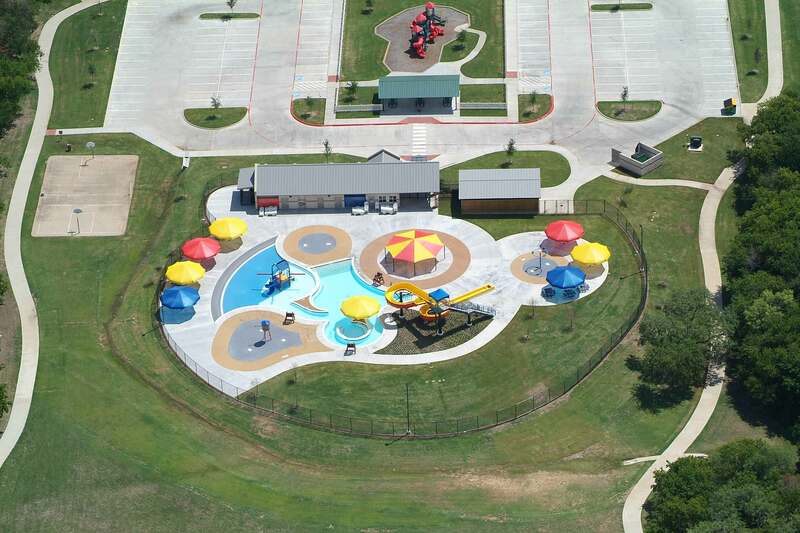 The center features a 4,000 square foot leisure pool with an SCS 110 water playground and nearly 1,500 square feet in three separate splashpads. 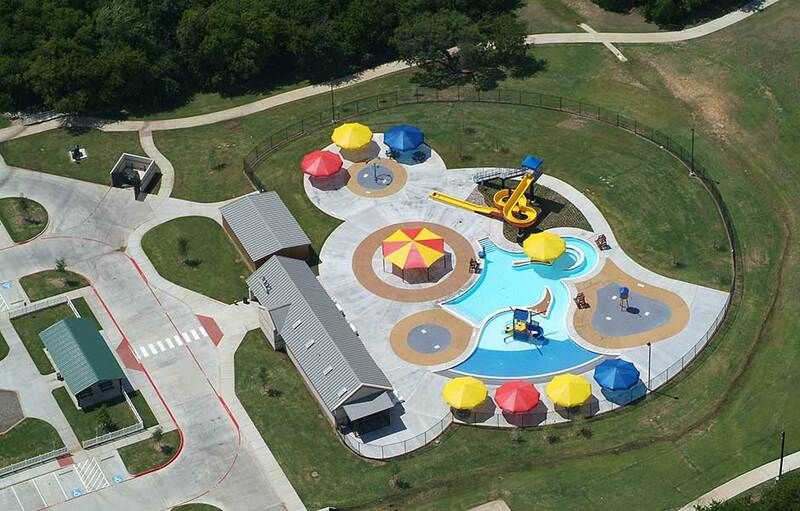 Aquatic Engineer: Counsilman/Hunsaker and Associates, Scott Hester, P.E.